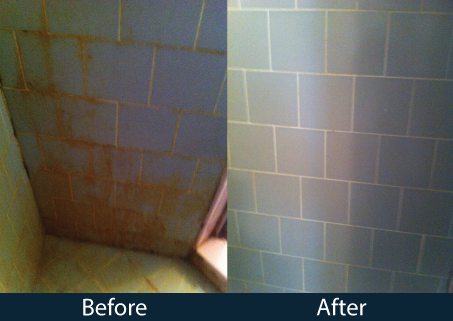 DryMaster also cleans, beautifies and restores the original state of your tile & grout. 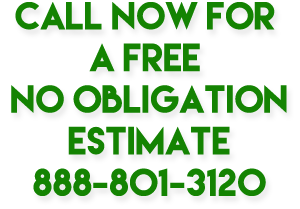 First, our professionals inspect the type of tiles and accordingly we choose the best and most effective type of cleaning needed. We brush your tile and grout with a special solution to loosen up embedded dirt, grime, grease and grout fungus, followed by a thorough cleaning with our special tile and grout equipment. The solution we use to clean the tile and grout not only cleans and restores it, but also shield against future dirt build-up. At DryMaster, we offer skilled and specialized Tile & Grout cleaning services, which are provided with the objective of making the maintenance of your floors easier and more convenient for you. Most important making your tiles and grout appear as good as new! Customers are astounded by the results and can’t believe the difference. Cleaning tile floors by hand is very intensive hard work. It’s messy, uncomfortable—and impossible to get the deep-clean results that come with professional Tile and Grout Cleaning. That’s because grout, which is a porous material, collects dirt, grime and spills, often discoloring the surface. Regular mopping and spot cleaning don’t reach the hidden dirt that lies deep within the pores of your grout lines. Our professional tile and grout cleaning service restores the luster to your floors, making them look like new. 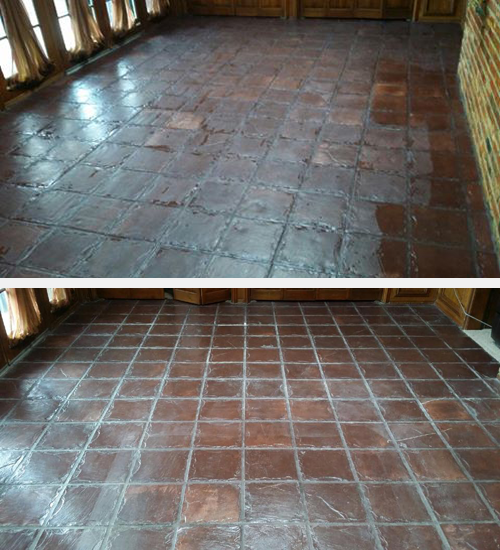 At DryMaster, our floor tile cleaners achieve much better results than any hand cleaning could ever do. Our certified and trained technicians begin by inspecting your floor to determine the best treatment process and the proper cleaning agent. Next, our state-of-the-art tile scrubber yield a high-pressure water and vacuum combination that extracts dirt from deep within the tile and the pores of your grout. Although it’s safe and gentle on your floors, our unique tile and grout cleaning wand is highly effective. The 100% safe, non toxic solution we use to clean the tile and grout not only cleans and restores it, but also somehow shields against future dirt build-up. Customers are astounded by the results and can’t believe the difference. Once the tile is clean, an extra more permanent lasting finishing coat of our DryMaster's clear sealant, protects your grout and keeps it looking great for a much longer term. Our clear sealant penetrates the grout surface to create a protective barrier against spills and permanent stains. It also ensures that future tile and grout cleanings yield the best possible results. The grout sealant is our premier grout restoration service and our sealant is one of the leading in the market. When grout is permanently stained and even the best cleaning methods can’t repair or reverse the discoloration, our exclusive system restores uniform color and provides a waterproof seal. Like always, DryMaster makes tile and grout cleaning easy and hassle-free. An average-size room (up to 350 square feet) takes only 40 to 60 minutes to clean. Although, times vary based on tile size, amount of soil in the grout lines, and room configuration. If you choose to include sealant, it typically takes about 1 to 3 hours to complete. We recommend waiting 30 to 40 minutes before walking on the floor so the sealant can dry properly.